Four years ago, Calcutta-based Devika Biswas was faced with one of the biggest challenges of her life. Her four-year-old son had been diagnosed with autism and attention deficit hyperactivity disorder (ADHD), just when he was about to start school. Over the next few months, Devika, a single parent, made countless trips to different play schools in the Bengal capital but none was willing to take in the autistic child. Most of them had the same excuse: it would become a stressful environment for teachers and caretakers to take care of a child who is “not normal”. He was ultimately admitted to a school but Devika’s search continues for a better place which will be able to adress her child’s needs. Delhi-based Sanchit Sahu’s travails are similar. 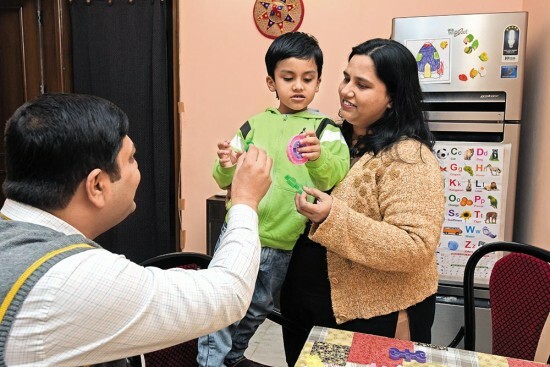 Father of a five-year-old son with autism spectrum disorder (ASD)—leading to restricted speech development—Sahu too has run into multiple hurdles in his quest to start his son’s formal education. Though Sahu’s son is certified to enroll in a regular school with “special attention”, there are only a few with special educators. Government schools have quotas for such ‘disadvantaged’ (DG) category children but he will need a medical certificate which is available in only two state-run hospitals. And even if he manages the certificate, Sahu is not sure he will be able to meet the upper age limit set by the Delhi government. Historically, India has an abysmal track record in ensuring education to ‘children with disabilities’, who have been excluded from the general schooling system and placed in ‘special schools’. Children with disabilities are also at an increased risk of peer violence and bullying, being denied a safe environment for their right to education. Devika Biswas took her son out of school after she discovered that school staff lifted him by his legs. “Attitudes toward children with disabilities, as well as a lack of resources to accommodate them compound the challenges they face in accessing education. While lack of access to school is an issue, an equal concern is the inability of the education system to ensure quality education for children with disabilities,” additional solicitor general Pinky Anand tells Outlook. India made education a fundamental right in 2010 while the Rights of Persons with Disabilities Act 2016 mandates that “appropriate government and local authorities shall ensure that every child with benchmark disability has access to free education in an appropriate environment till he attains the age of eighteen years”. But for all practical purposes, this “right” has remained on paper for children with disabilities. Or implemented with layers and layers of rules and regulations that defeat the very purpose. As Sanchit Sahu has found out to his dismay. First, the Delhi government stipulated an upper age limit of four for nursery admissions in the general category. “My son will be five years one month and 20 days on the date of cut off,” Sahu says, adding that most schools rejected his son’s application. The government later raised the age limit for economically weaker section (EWS) and disadvantaged (DG) children. Aut­ism falls under DG category. But getting a government certificate is itself a nightmare. “We first went to the paediatric department of Saf­darjung hospital. They referred us to the neuro­logy department. 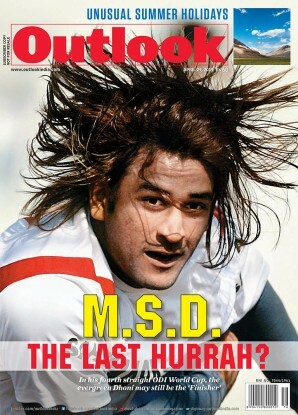 The neurology department then refe­rre­­d us to clinical psychology at AIIMS and RML hospital,” he says. Last year, the Central Board of Secondary Education (CBSE) warned schools of stringent action, including disaffiliation, if they denied admis­sion to children with special needs. Pinky Anand says parents have the option of seeking legal remedy in such cases. But most parents would rather wait than take the extreme step of dragging a school to court. CBSE has warned schools of stringent action if they denied admis­sion to children with special needs. In some cases, schools have been found to have been extremely insensitive. Devika Biswas says she took her son out of his first school after she discovered that school staff lifted him by his legs and took him to the dormitory once he fell asleep in class. Shailja Sharma, an advocate and a mother of a 14-year-old autistic kid, says when she was looking for the first school for her child, she found that most of these “special schools” addressed limited categories of disabilities. “The condition of the schools was disheartening. Kids put in chairs with locks or left unattended. The rooms were not properly ventilated,” she says. Shailja was, however, lucky to find a school—the Airforce Golden Jubilee Institute in Delhi—which she says has the best infrastructure and ample trained staff to meet “the needs of my child who is non-verbal”. Experts believe that tackling this discrimination is a matter of urgency on several counts. Denial of the right to attend school robs children of the future benefits of education and the opportunity to access other rights by limiting employment opportunities. Barriers faced by people living with disabilities means they are usually among the poorest of the poor. There should be a small student-teacher ratio. Ideally, it should be 1:5 or maximum 1:10. Any child who has ­learning disabilities needs therapeutic intervention which includes occupational therapy, sensory and integration therapy, speech and language therapy and remediation therapy. Specialised school, or for that matter any school, should ­incorporate mental health into their curriculum which should be mental health centric. The most important aspect of specialised set up is to have a good multi-disciplinary team approach. For example, once in three weeks teachers, special educators, therapists should sit together and discuss a child’s progress. A specialised school must have therapists, child psychiatrist, developmental pediatrician and special educators.